If you’re in need of transportation for any special event, choose Party Bus Mesquite TX. Our service has been chosen by many people as the best transportation provider in the area. Why don’t you give us a try and find out for yourself? Call today, 214-206-9269. We provide a variety of SUVs, stretch limos or minibuses with one of our formally attired, careful and expert chauffeurs. We believe in bringing out the best in our customers and maintaining that till the end of each trip. We assure you a large collection of transportation options, and we can guarantee that you will find whatever you are looking for here. So give us your precious time and book your dream party bus. For groups with 50 or more people, view our charter bus rentals in Mesquite. We offer services 24 hours a day and has special packs for any event. Whether your group is large or small, our party bus rentals will give you the most recent smooth-riding vehicles including our H2 Hummer, Lincoln Navigator, Chrysler 300, Cadillac Escalade and more. Check out our Mesquite limousines now! 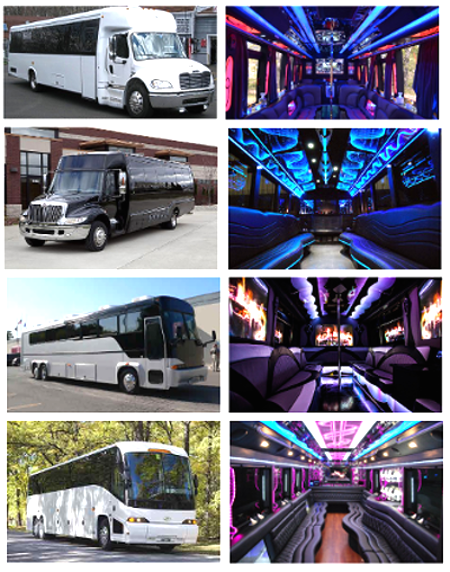 This style and attitude of Party Bus rental Mesquite have fulfilled and satisfied a diversity of clients. Plus, it is guaranteed that we will fulfill your needs to the core as well. Contact us for a quick overview of your favorite limousine. There are some standard frameworks to follow while you are traveling with us. No smoking or food allowed in our rides! We have been working with all events and our experience has been the best. We are able and exceptionally aware of our customers’ demands, needs and values. We offer transporation service to the Dallas/Fort Worth International airport and other airports nearby. Our drivers are the best and we are always on time. If you need reliable airport transportation, call us today to make a reservation!